“When Oprah’s Next Chapter launched two years ago, it gave Oprah the platform to explore the world in a fresh and meaningful way. As the show has evolved into more topical conversations with news makers and celebrities, Oprah Prime provides a wider lens for Oprah to intimately explore topics that matter and the public figures who are making a difference, as only she can.”. Oprah Prime debuts tonight at 9pm with Russell Brand as he has an intimate conversation with Oprah about addiction. This powerful conversation finds Brand discussing his own heroin addiction as well as the death of Philip Seymour Hoffman at the hands of an overdose. OWN’s ratings have been soaring and just came off their most viewed month ever. 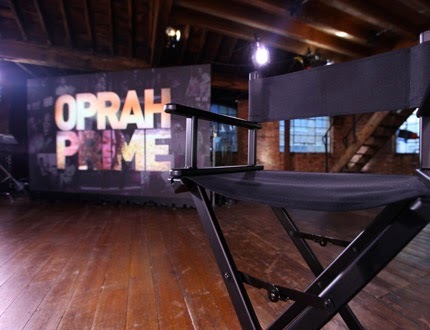 Oprah Prime debuts tonight at 9pm eastern on OWN. RELATED: AMC's The Walking Dead Poster!